More architechtual than its more wild counter part, Euphorbia Tirucalli, the Euphorbia Leucodendron has thicker, more erect, and less bushy branches. We like the use of these euphorbia as small shrubbing barriers as it grows only to 4’ tall in containers. The Leucodendron is often thrown into the same category of other Tirucalli plants with the common name “Stick Plant”. 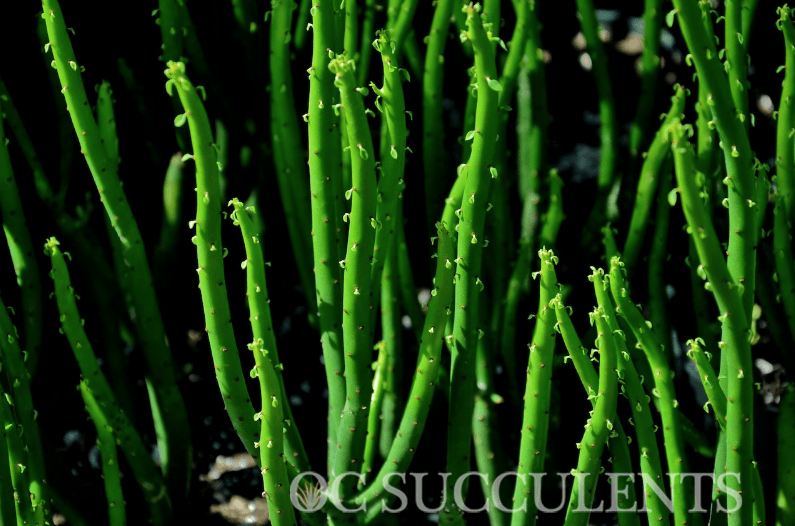 While they can easily be groomed to maintain shape, be warned that these plants, like all Euphorbia can pose a threat to some people. The milky white sap can cause skin irritation, damage eyes, and are poisonous if eaten. However, with the correct application, these plants offer a unique look that would otherwise be unobtainable.